Daniel Solis: Utara - "Play Here Now." While Tim and the Ludo Dojo guys played Utara, they were deciding which moon variant to use. 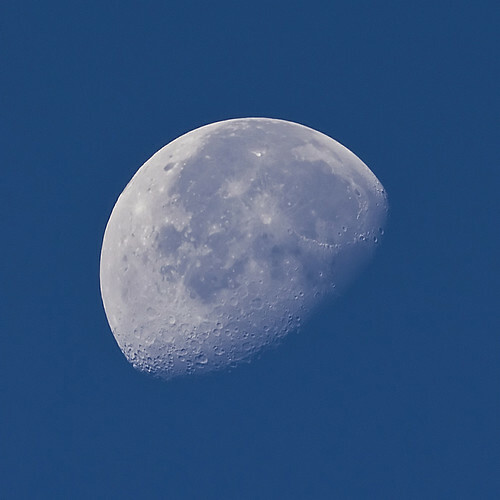 One of the players proposed using the moon's actual phase. In this case, the moon was almost full, so they used the Full Moon variant. That's when I realized just how much "Play Here Now" is embedded in Utara's design. To "Play Here Now" means you're playing something that elegantly reminds you of where you are in that place and in that time. The phrase itself is inspired by spiritual teach Ram Dass' 1971 book Be Here Now. Though the Buddha reputedly discouraged games as a distraction from true awareness, I'll humbly submit that a game can be the spoonful of sugar to help the existential medicine go down. Obviously, the "here-ness" is inherent in using compass directions as a part of gameplay. You could, as I've often done, arbitrarily choose any direction as "North" and begin the game. But there is a very nice element of spatial awareness inherent in actually moving true north, east, south and west. It gives the player a very brief sense of spatial awareness taken for granted in many cultures across the world. But it's the "Now-ness," that I didn't realize was also inherent in the game. By literally using current phases of the moon, position of the sun and other natural phenomenon, you create a different game based on your place on earth. Indeed, based on your place in the universe. So, there is a "supermoon" tomorrow night, in which the moon's orbit brings it very close to Earth and there is a full moon at the same time. I don't know what that means for how you play Utara, but I bet it makes the game interesting.